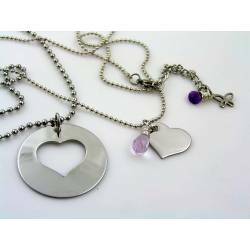 Couple Necklaces There are 24 products. 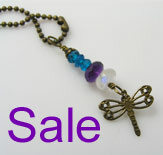 Listing is for 2 Necklaces. 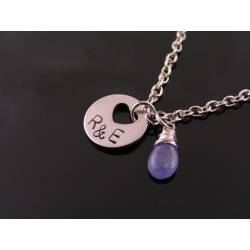 Can be personalised with initials. 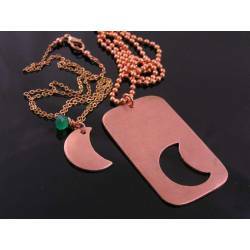 I have had the copper version in stock for a while and I am very pleased to be able to offer the choice of a nickel silver and aluminium version. 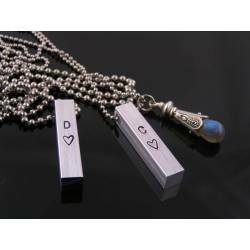 Stainless steel chains with aluminium column pendants and a gorgeous labradorite. 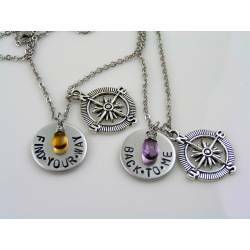 Cute smaller size pendant necklaces. 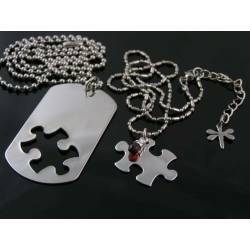 This listing is for 2. 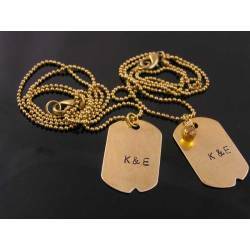 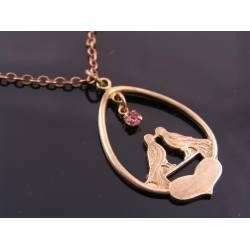 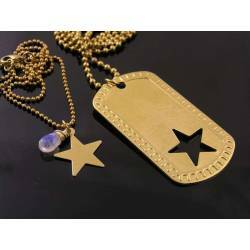 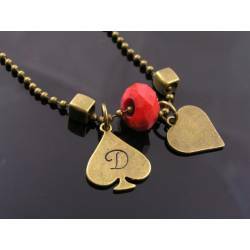 This listing is for one necklace with two pendants. 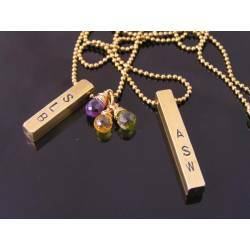 What do other customers say about this set:Erika Lopez on Nov 16, 2015★★★★★ 5 out of 5 stars I love this item. 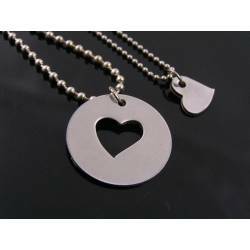 My husband also loves it and it was a great surprise for him since he is a musician, he loved the pick and wears it everyday and so do I! 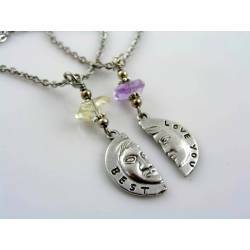 Definitely worth it thank you!! 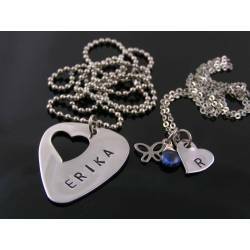 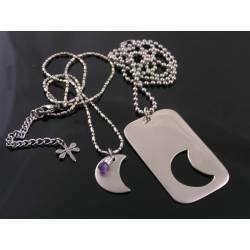 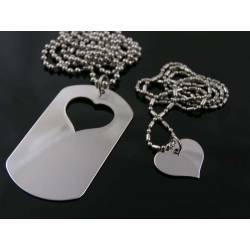 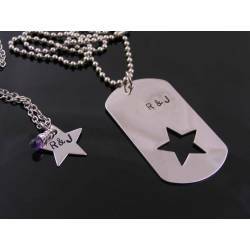 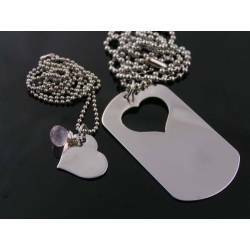 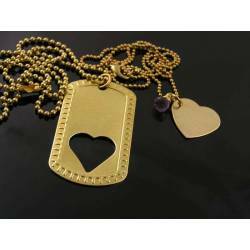 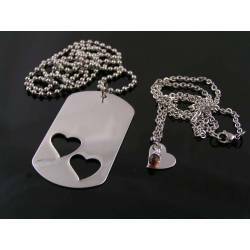 This is the aluminium version of my popular dog tag/heart couple necklace. 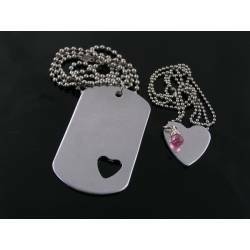 The heart cut-out is smaller and in one corner, the heart pendant is larger and has a pink cubic zirconia attached.